With over 15 years in business we have streamlined conventional dent repair process, Auto Perfection Group can bring your car back to its original condition quickly and more affordably than a traditional auto body shop. There are several types of damage you could repair and they include scratches, holes, scuffs and tears. 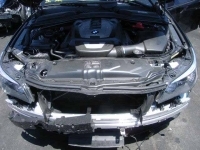 Bumper repair may involve re-painting over a scuff or filling in a tear. The plastic fascia or covering will be the area that can possibly be repaired. More extensive damage may need to be fixed by a Auto Perfection Group. Repairing and painting the smallest possible area, and blending only into nearby panels - instead of painting an entire panel and blending into all adjacent panels.